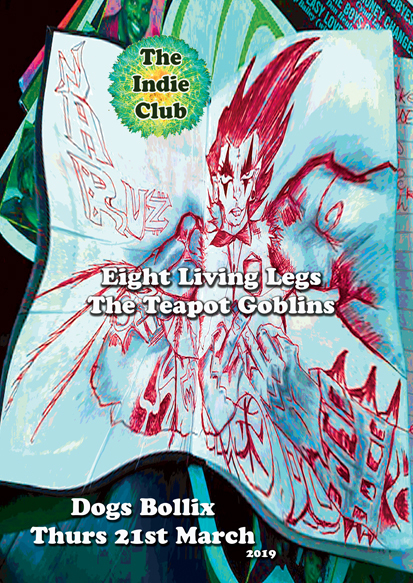 Eight Living Legs and The Teapot Goblins return to the Indie Club. $10 gets you in and that includes a FREE CD. Get there early to ensure you secure one of the ;limited edition samplers featuring both Eight Living Legs and The Teapot Goblins.